Can sessions be conducted by phone, email or just face to face? There is a high level or flexibility to meet your needs. Skype, telephone or even online chat are viable options, however, it is preferable to meet face to face at least once during the duration of any agreement. Generally, 45-60 minutes depending upon the amount of “pre-work” completed and your personal needs. Regardless of the coaching option, most engagements begin with four sessions scheduled within a 30 day period. One session per week for one month gets you into the rhythm of a new coaching relationship and helps discover the true goal that you want to work on. After that, depending on your agreement, monthly engagements are two (2) scheduled calls per month, approximately 45 minutes each. These sessions occur every other week. The interim weeks are used for implementing discussed actions. Can we talk outside our scheduled time? Of course. You can send e-mails or texts between meetings, and make short telephone calls as needed. How much do the coaching services cost? Generally speaking, Karl Bimshas Consulting uses a value-based fee structure because charging hourly rates in a professional services firm creates an inherent conflict of interest. Each leadership engagement is unique and is based on the value of the results the leader wants to achieve. Karl Bimshas Consulting works with busy professionals who are pursuing a variety of leadership goals. To better meet their ongoing needs we established subscription coaching. We have designed three types of monthly leadership coaching. Are any coaching programs available as a stand alone product? Some people do not want to commit to regular meetings but still want to work on their goals independently. For those who are interested in self-study, The Karl Bimshas Consulting website offers several programs. What mechanisms for payment do you offer? Your fee for all services is payable by check, cash, or via PayPal, (Visa, MasterCard, American Express and Discover for face to face transactions only). Many people like to pay ahead of time to create goal achieving momentum in their life. Payment is due prior to your ongoing coaching sessions. Depending on your negotiated agreement it will generally be paid four weeks in advance. Payment can be in cash, via PayPal or Credit Card if face to face. Checks are acceptable for advance payments of Accountability Partner agreements three months in length or longer. Your money will be refunded if you don’t gain greater clarity on your initial goal, a better understanding of your multidimensional life and specific tasks to work on within the first month. It’s the aha guarantee. What provisions do you have for refunds? If you have paid several months in advance, you may terminate the agreement at the end of any four-week cycle. In this event, you will receive a refund for the unused whole months. Note: You will be charged the standard monthly rate for months used as your discounted rate is no longer applicable. Monthly payments are non-refundable. What if I want to terminate my coaching agreement? Your investment in Karl Bimshas Consulting represents a commitment to coaching and to your goals. If desired, you may terminate our agreement at the end of the billing cycle. Consulting continues for as long as you’re getting value. If you’re not, we either change something or we stop. When would our agreement be terminated? During Karl Bimshas Consulting coaching engagements, you will often be asked to identify tasks that you will accomplish between meetings. These action steps, sometimes called “assignments” or “homework” are intended to keep you focused and working on your goal. If you feel the suggested actions are too much or conversely, not challenging enough, say so and we can revisit it if needed. Assumedly your goal achievement is a priority for you, therefore, scheduled consulting meetings do not “carry over.” If you miss a meeting, you will be charged for it. With prior notice, an alternative time within the same week may be offered if available. If you do not attend a scheduled call, for any reason, without notice, it is forfeited, and that time will not be made up. If Karl Bimshas Consulting needs to reschedule, you will receive at least 24 hours notice, barring an emergency or illness. The missed time will be rescheduled. You are fully responsible for your own life and decisions. During your engagement with Karl Bimshas Consulting, you will receive suggestions, options and coaching in an effort to identify steps to achieving your goals. Any decision about a course of action is yours, and you accept full responsibility for such decisions. You should carefully evaluate the consequences of various options and decide accordingly. Does Karl Bimshas Consulting work within a particular industry? Every industry benefits from greater leadership development, however Karl Bimshas Consulting focuses on professional service firms, e.g. legal/accounting/consulting, and professional campuses, e.g. hospitals and universities. How many employees do I need to have to best benefit from your services? It starts with self-leadership, so there is no minimum number of employees required. The average direct span of control is ten, however we have worked with leaders with direct line responsibility for over forty. What are some key characteristics you believe are important in every leader? Pontificating on the key traits of effective leaders has become a parlor game. The numbers range somewhere between one elusive silver bullet and 101 or more, mostly designed to fill the pages of a book. A Gallup study cites five high talent attributes; the ability to motivate, assertiveness, effective decision-making, relationship building, and clear accountability. We don’t quibble with the words, though we think any leadership can be broken down to vision, passion, action, a healthy dose of empathy, and a thirst for continuous improvement. Without those, there is not much of a leader to be found. Fundamentally, the key characteristics are variable, based on the current situation and on the needs of the followers. Do you offer group consulting? Yes. The majority of our agreements are for mid-term and long-term, one-on-one consulting. During that time, it’s common for the leader to pull in peers or direct reports for additional insights, strategic planning or retreats. We also offer weekly mind master groups and periodic workshops. In what ways is a leader improved by working with you? Leaders who work with Karl Bimshas Consulting cite clarity, new perspective, an increase in confidence and better professional relationships as a result. Specifically they become clear on their personal values and purpose and ensure alignment with their organizations mission. Their increased empathy creates a better awareness of personal behavior, and how to maximize the strengths of others to pursue common goals. What tools do you use to improve leadership qualities? 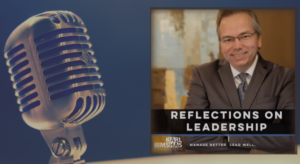 Karl Bimshas Consulting uses industry recognized leadership 360 and behavior assessments, customized programs such as The Values Finder, Mission to Mantra, Modeling Change and others as part of our Leadership Guidance System. Situational Leadership II, and Servant Leadership serve as important models and of course the consistent accountability of scheduled consulting sessions. When should I retain the services of a leadership consultant? Although very effective, leadership consultants are not miracle workers at solving your complex problems. If you want a strategic partner who is dedicated to you and your success, you should engage one sooner rather than later. You’ll avoid costly mistakes, make better decisions and get the results you desire once you stop deferring. Why do I need a leadership consultant or accountability partner; can’t I just use a good friend? Having a best friend to bounce ideas off of is wonderful, especially if your best friend is experienced in which methods and disciplines will bring out the best in you. Maybe you trust them to advise you in the most important aspects of your life or business, but will they hold you accountable to your stated goals, desires, and aspirations? Do you want to place that kind of burden on a good friendship? Do both, keep your best friend and find a professional accountability partner. Most people discover that the money they invest in an accountability partner agreement is a bargain. What is the ROI I can expect? The purpose of engaging with a leadership consultant is to improve your current condition. The specific metrics used to determine success or failure vary with each client and purpose and are determined during our conceptual agreement. With that said, we believe if you don’t see a 3X or better return on your investment in leadership consulting, you should be doing it yourself or figuring out why you are not. 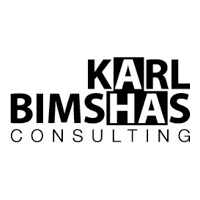 What does Karl Bimshas Consulting do? Professionals want to improve their working relationships with their colleagues and direct reports to create highly reliable, performance-minded teams. Karl Bimshas Consulting collaborates with entrepreneurs and executives who want to dramatically improve how they lead. 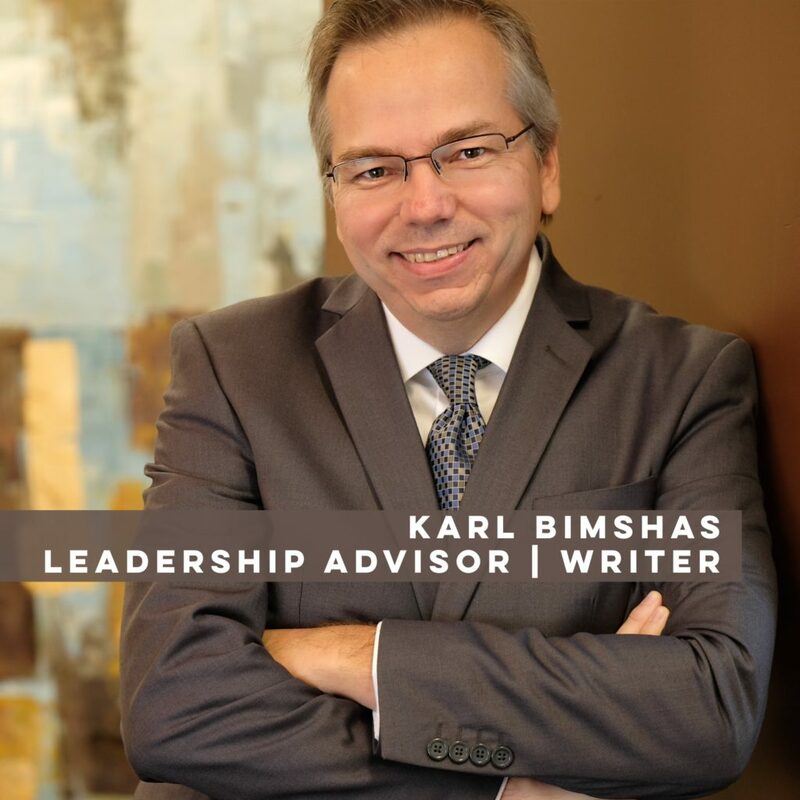 Through ongoing coaching, accountability, peer review or comprehensive consulting engagements, Karl Bimshas Consulting helps leaders facing change to maximize their existing strengths, increase their confidence and improve organizational profitability, productivity and other metrics that improve their condition and better their leadership. With a M.S. in Executive Leadership from the University of San Diego and a B.A. in Mass Communications from Emerson College in Boston, Karl Bimshas has held operational and sales leadership positions in public and private corporations. He has also personally coached individuals to turn their ideas and dreams into achievable goals. 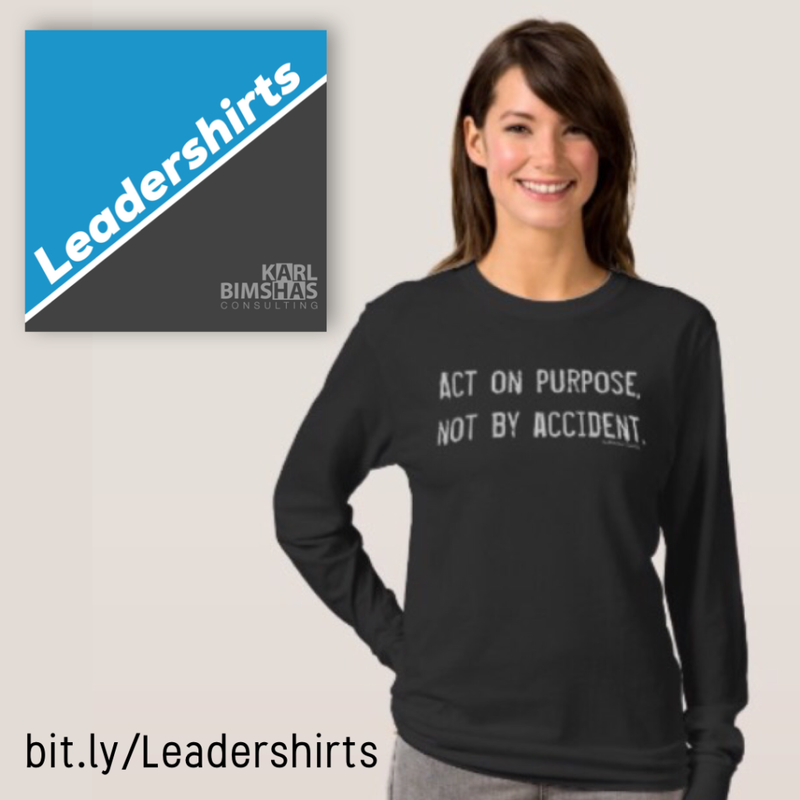 He is the author of several books, tools and programs designed to help new leaders and leaders facing change, to act on purpose, not by accident. Karl Bimshas is driven to insightfully and creatively lead and inspire others to maximize their strengths, look at things differently, and continuously improve their condition by applying vision, passion and action to each endeavor, so that they may contribute a greater piece of themselves to the world. How does Karl Bimshas Consulting find the aha within? -Focusing on strengths as a way to stimulate personal and group excellence. 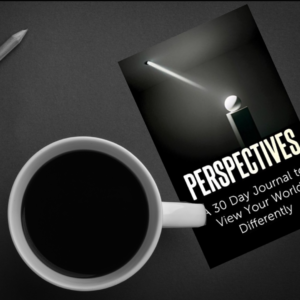 -Pinpointing trends, noticing problems, and identifying opportunities many people overlook. -Creating alternative ways to proceed. -Helping organizations and individuals become stronger in the face of adversity. -Inspiring people to believe in themselves. -Solving the problems that keep people from achieving their goals. -Examining your methodology, attitude, support team, process and systems or communication style. -Developing measures of success and challenging your status quo. Entrepreneurs and executives thrive with creativity, innovation, and daring when they make time for reflection and revelation. Imagine working with a fresh pair of eyes and gaining an unbiased opinion and clear guidance along the previously untended path that you know leads toward your goal. Call an accountability partner whose goal is to see you succeed.